Our third and final intern has just arrived! West will be joining our office for about six weeks this summer to assist in projects and learn as much as possible about our office culture. He just graduated from The Bay School of San Francisco and is on his way to study Mechanical Engineering at Drexel University in Pennsylvania. West lives in Marin and enjoys biking Mt. Tam, swimming, and spending time with friends in the city. 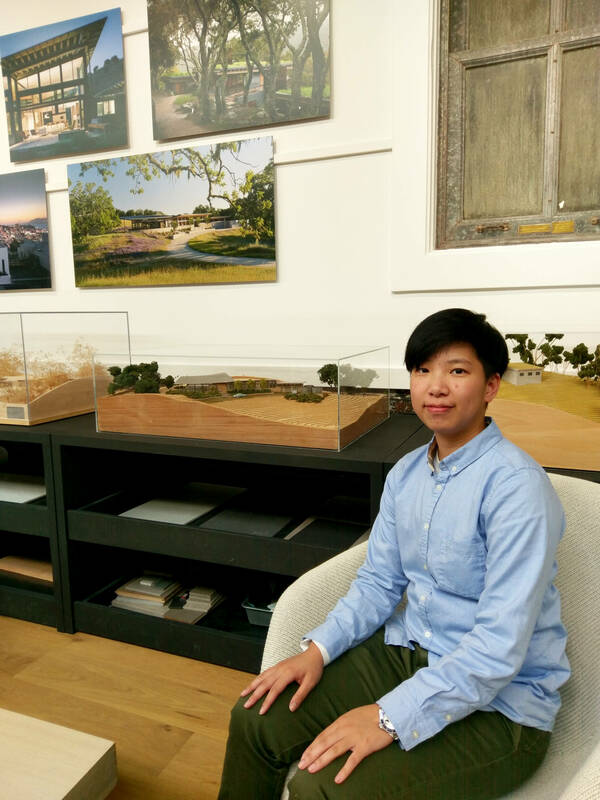 We’re excited to introduce you to our second intern for the summer, Ying Pan! Ying is from Taiwan, and before coming to San Francisco, graduated from a vocational high school in Taipei. During that time she majored in drafting, but is now currently studying architecture at UC Berkeley. She will be helping us by translating work for our clients who speak mandarin, as well as working on a few of our in-progress projects around the office. Outside of school and the office, Ying’s hobbies include playing basketball and skateboarding, and she loves puppies!